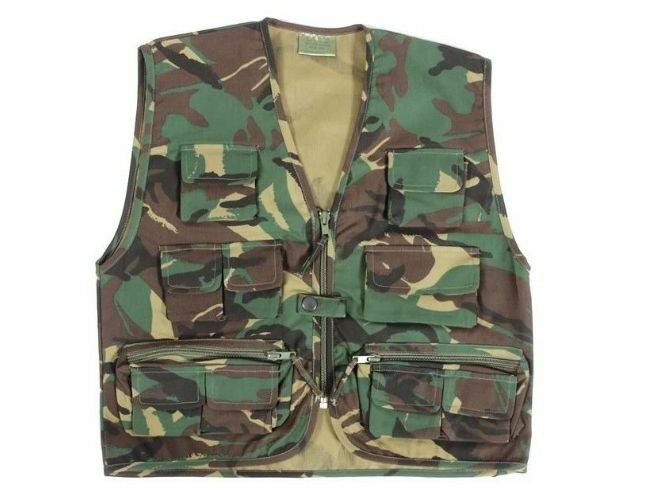 Kids army camouflage ranger vest, padded insulation,zip cover, high neck collar. The Kid's Ranger Vest is modeled after the grown ups style and is great fun for games and wearing everyday. A great vest and my 3 boys have had them for years. They are lightweight and they love wearing them to go fishing or playing out.